The newly renovated Argenton Hotel invites you to experience your own flawlessly designed function, ensuring guests leave with a lasting impression of style and substance. 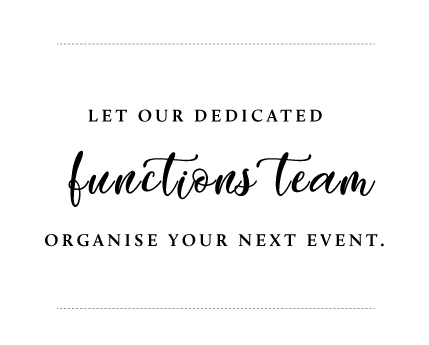 We have a dedicated function room that caters to every occasion big or small, with our functions team attending to your every need and requirement. The Argenton Hotel is the perfect venue in Lake Macquarie for all types of functions, from large scale events to small intimate gatherings. From organising business conferences to once in a lifetime celebrations and events, we help design and host high quality events by bringing years of experience and industry expertise to create memories that will last a lifetime. Let us take your idea and turn it into a reality! Boasting state of the art audio, visual, production and lighting, making it ideal for live music, entertainment events, product launches, weddings and cocktail parties. With formal set menu packages, grazing tables, hot and cold platters and gourmet canapés starting from $10 per head ranging to $40 per head with gluten free and vegetarian options available on request. There is also something for the kids with $9.90 kids meals and $50 kids platters available - not to mention our huge kids playground and beer garden cabanas!